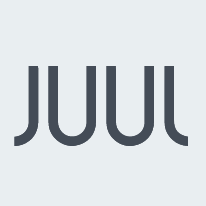 JUUL Labs has an exciting opportunity to join a talented team of individuals who are working together to create the next generation of hardware-connected apps. As an ideal candidate, you will be a self-motivated engineer who can tackle interesting challenges head-on, including establishing core architecture & developing frameworks. Along with implementing new features & ensuring high quality binary releases, you enjoy the camaraderie & collaborative nature of a fast growing startup. Fluent in Kotlin/Java & Android development frameworks. Excellent English verbal & written communication skills.